Federico Capasso, the Robert L. Wallace Professor of Applied Physics and Vinton Hayes Senior Research Fellow in Electrical Engineering at the Harvard John A. Paulson School of Engineering and Applied Sciences has been awarded a 2016 Balzan Prize. Capasso is being honored "for his pioneering work in the quantum design of new materials with specific electronic and optical features, which led to the realization of a fundamentally new class of laser, the Quantum Cascade Laser; for his major contributions in plasmonics and metamaterials at the forefront of photonics science and technology." The International Balzan Foundation, founded in 1957, recognizes innovative research in the humanities (literature, the moral sciences and the arts) and in the sciences (medicine and the physical, mathematical and natural sciences). This year’s prizewinners will receive 750,000 Swiss Francs, half of which must be devoted to research work, preferably involving young scholars and researchers. The Prizes will be presented during an award ceremony to be held in Rome on November 17. “I am very pleased that this award has recognized not only earlier work I did at Bell Laboratories but also the impactful research carried out by my group at Harvard,” said Capasso. Capasso is one of three Balzan Prize recipients this year. The others are: Piero Boitani of the University of Rome for Comparative Literature; and Reinhard Jahn of the Max-Planck Institute for Biophysical Chemistry, for Molecular and Cellular Neuroscience. 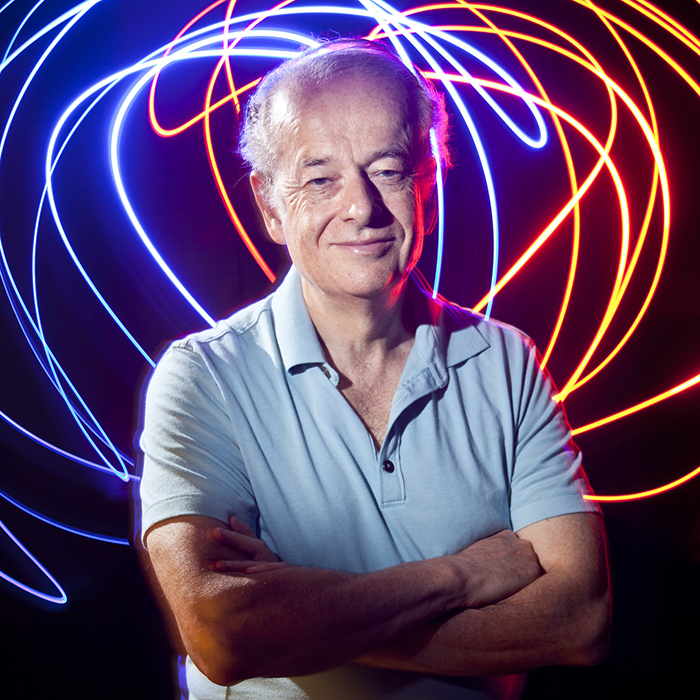 Capasso is known for his pioneering work in nanoscale science and technology ranging from the invention of quantum cascade lasers to flat optics based on metasurfaces, which is revolutionizing the design of lenses. His research has encompassed a broad range of topics including band-structure engineering of semiconductor nanostructures, quantum devices, the discovery of repulsive Casimir forces and plasmonics. Capasso is a member of the National Academy of Sciences and the National Academy of Engineering, and he is a fellow of the American Academy of Arts and Sciences. His awards include the IEEE Sarnoff Award in Electronics (1991), the Materials Research Society Medal (1995), the Wetherill Medal of the Franklin Institute (1997), the Rank Prize in Optoelectronics (1998), the Optical Society Wood Prize (2001), the IEEE Edison Medal (2004), the American Pysical Society Arthur Schawlow Prize in Laser Science (2004), the King Faisal Prize (2005), the Berthold Leibinger Zukunft Prize (2010), the Julius Springer Prize in Applied Physics (2010), the Jan Czochralski Award for lifetime achievements in Materials Science (2011), the European Physical Society's Prize for Applied Aspects of Quantum Electronics and Optics (2013), the SPIE Gold Medal (2013) and the American Academy of Arts and Sciences’ Rumford Prize (2015).